The ECU President Silvio Danailov is currently on a mini tour, visiting Cyprus, Georgia and Azerbaijan. Following the news about Georgian interest in hosting the European Individual Women Championship, the Russian newspaper “Sport-Express” contacted Danailov for an interview which could reveal more detail. “Having received a serious offer from Tbilisi, I came here to discuss the bid with the Mayor of Tbilisi, who heads the organizing committee, and with the Minister of Sports and Youth Affairs of Georgia. 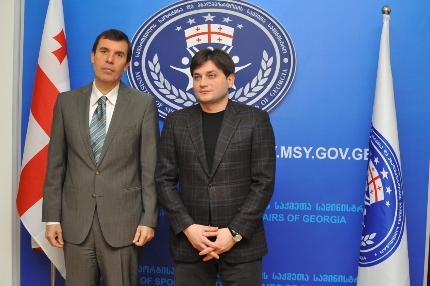 I saw a great interest, the proposed venue in the five-star Sheraton Hotel meets all international standards, and if Georgia wins the tender, I have no doubt that the European Championship will be held at the highest level.” – Danailov explained. He also added that 100.000 EUR is the minimum amount that is being considered for the prize fund, and that perhaps it will be even increased. D: Susan, let’s start with one of the most topical issues in the chess world at the moment – What do you think of the World Championship format and the forthcoming Candidate matches? S: I think that it is satisfactory as we are now back to a Classical format, much better than the knock out system used for the latest events. D: Don’t you think that 4 games aren’t really enough to decide who deserves to go through to the next round, though? S: Indeed, 4 games aren’t really enough, but you see, finding available dates for these events is a real problem, as is finding suitable sponsors who are able to finance matches that last as long as these. D: Let’s talk about Carlsen. His withdrawal has raised more than one eyebrow, not to mention the disappointment to his fans. Any comments? S: It is definitely a blow for chess fans worldwide that Carlsen has decided not to take part in the World Championship cycle, which would have been a good opportunity for his career. However, he is still rather young and he will have plenty of opportunities to play for the title. D: You have come to Italy for a conference, which was held today (editor’s note – the interview took place in November 2010). Can you tell us a bit about that? S: I have been invited to take part in the “Conferenza della Fondazione 21 di Paoletti”. It was a very interesting event which I was glad to take part in as a speaker, but which I enjoyed attending as a spectator also. 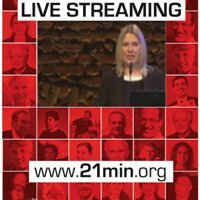 I was amongst the 21 guests, the line up being made up of Nobel prize winners and Olympic champions, and each speaker had to talk for 21 minutes on how he or she managed to become succesful in their chosen field.